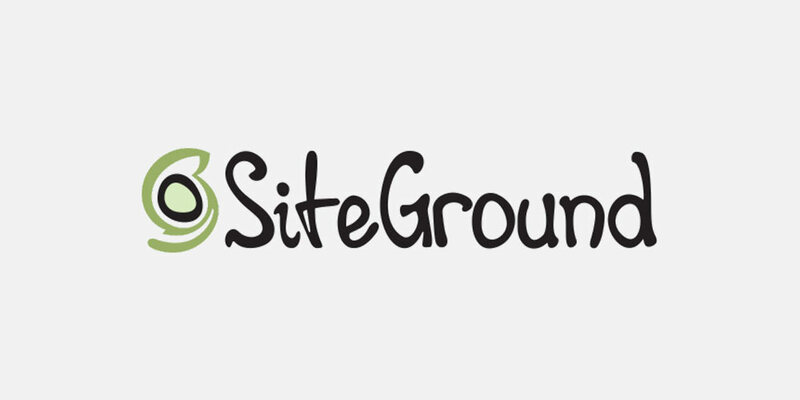 SiteGround has climbed the ranks in the hosting industry and has earned a reputation as being one of the most reliable hosts available for WordPress, even claiming a spot on WordPress.org’s official hosting page. They’re a multipurpose host that offers an assortment of plans for varied hosting infrastructures designed for different content management systems. We’re going to focus on the plans and features this host has to offer for WordPress in this review. From the types of hosting it offers and the specific features and services available to the pricing and support options you’ll have to take advantage of, we’re going to cover everything SiteGround can (and can’t do) for your site. SiteGround was founded by a small group of university friends who built the roots of the company out of their door rooms in 2004. The company is comprised of over 400 team members today in multiple departments, including Administration, Support, Sales, Marketing, Development and Design. While the company had a humble start and a steady growth rate, it now hosts over 1 million domains. Its support team handles over 1,500 tickets, 1,000+ phone calls and 3,000+ chat requests on a daily basis. No matter which type of hosting you choose, you can choose to install them on data centers located in three continents (North America, Europe and Asia) to offer a faster and more reliable connection to your target customers. SiteGround offers additional services as well. These include domain registration, email hosting for business email using your company’s domain name, FTP servers, PHP 5.6, PHP 7.0, PHP 7.1 and PHP 7.2, cPanel for hosting management, and database hosting via MySQL. Let’s go over the various features SiteGround offers (and doesn’t offer) by going over the advantages and disadvantages it brings to the table. We’ll start with the advantages. Some hosts offer one type of hosting, resulting in you having to leave your host in search of one whose servers are capable of handling your site. 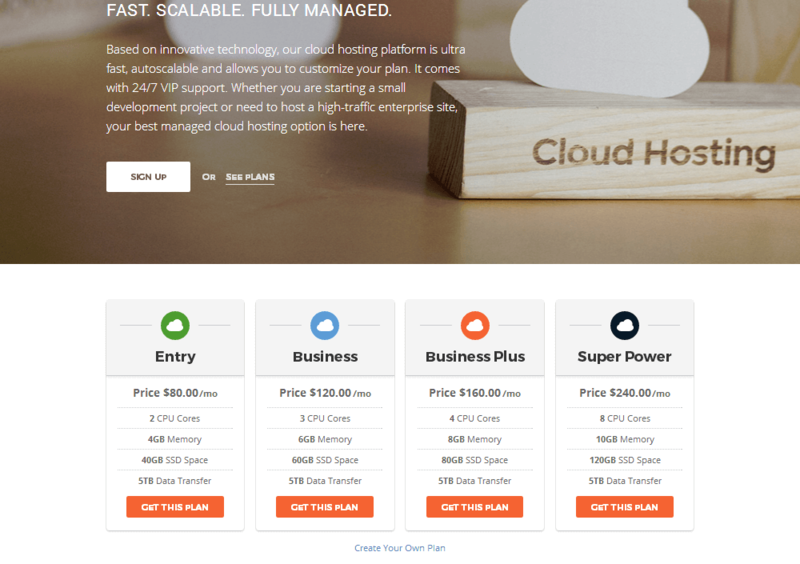 SiteGround, as stated earlier, offers multiple types of hosting. Choose from CMS’s such as WordPress, Joomla, Drupal, Magento and PrestaShop, and host your site with shared or cloud hosting. You can even use a dedicated hosting server if your business needs and can afford it. The reason this is beneficial is simple. If you start out on a shared hosting plan from SiteGround, you can upgrade your site as needed while it grows and requires more resources without having to switch hosts. You’ll see this in SiteGround reviews everywhere as well as the company’s own website. An uptime performance of 100% is not uncommon for many users, but SiteGround’s own calculated monthly uptime rate is 99.9%. This figure is calculated from every site the host supports, which again, is over 1 million domains. This service even has an uptime guarantee of 99.9% per their terms of service. If your site’s uptime performance falls below 99.0%, you’ll be compensated with one month of free hosting. In addition to a well-optimized hosting setup, which includes the use of Nginx server software and SSD’s for storage, SiteGround offers multiple features and services that help your site run smooth and load as quickly as possible. This includes those data centers I mentioned earlier. They allow you to choose where your visitors connect to when they load your site as trying to connect to the United States from Berlin, for instance, can be tedious. You’ll also have access to free CDN services. On the WordPress side of things, SiteGround offers SuperCacher, its very own caching plugin that keeps your site free of junk and ultimately optimizes it for speed. Here it is. The meat of this article. WordPress is the most popular CMS in the industry. It’s only natural for SiteGround to focus its efforts on it, and they’ve done a fantastic job with it. It starts with an installer that allows you to install WordPress with one click. This cuts out the tedious and somewhat technical process of having to download a copy of WordPress and manually install it on your server. We already mentioned SuperCacher, but this is a plugin available exclusively for WordPress sites hosted by SiteGround. They also offer auto updates for WordPress to prevent your site from being filled with security flaws. Developers will enjoy features such as WordPress staging, which allows you to clone your site and test updates/changes to a version of it that isn’t live. Other features developers will love are the inclusion of WP-CLI and having Git pre-installed. The extent of this is dependent on the plan you choose, but it’s a wonderful feature either way. Free daily backups are offered on all plans, however, the GrowBig plan and higher allow you to restore your site from backups if need be. SiteGround updates every single website built with WordPress automatically. This relates to core files only. Plugin and theme updates are left untouched. Other things it does to protect you is offer a firewall with custom WAF rules. You’ll also enjoy free SSL certificates from Let’s Encrypt. A CDN is similar to a data center. It allows visitors to connect to a version of your site with a physical location closer to them. It also makes it harder for hackers and other forces to bring your site down. If you already have a host and are looking to switch to SiteGround, you’ll be able to take advantage of a free website transfer when you pay for a hosting plan. The host will transfer your files, database, cPanel and WordPress. Sending email that uses your own domain as an address, meaning contact@example.com when your domain is example.com, is much more professional than using a simple Gmail account. That’s why SiteGround offers email hosting and allows you to create personalized email addresses for your domain and receive and manage your email with ease. There are a few disadvantages to using SiteGround. Fortunately, I’ve only noticed three. Let’s discuss them. There are two forms of shared hosting. One of them is called “virtual private server” or “VPS hosting.” It’s a step up from traditional shared hosting as it allows multiple sites to share the same resources without intruding on each other’s space or bandwidth. Unfortunately, SiteGround doesn’t offer VPS hosting, which is typically not much more expensive than shared hosting. They do offer cloud hosting, but this means you’ll go from paying $29.95/month for the service’s highest-tiered shared hosting plan to paying $80/month for their lowest-tiered cloud hosting plan when you outgrow your shared hosting server. SiteGround stores your data on SSD’s rather than traditional hard drives, so it makes sense for its storage capacity to be lower than you’d expect. However, at 10GB, 20GB and 30GB for each of its shared hosting plans, it definitely offers storage limitations much more strict than its competitors. I personally register all of my domains with Namecheap, which costs $10.98/year for a .com domain and an additional $2.88/year for WhoIs protection for a total cost of $13.86/year. 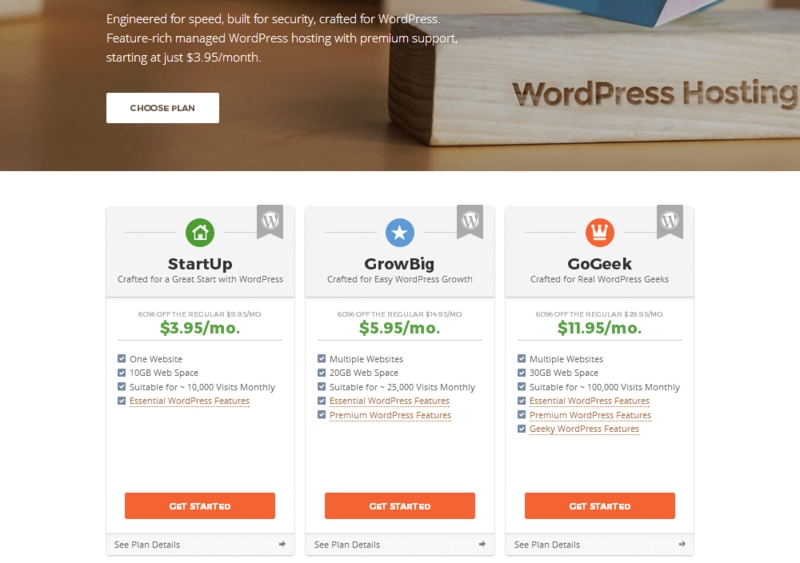 SiteGround, on the other hand, charges $15.95/year for a .com domain and an additional $24/year for WhoIs protection for a total cost of $39.95/year. Most hosts waive your domain and domain privacy fees during your first year when you sign up for new hosting accounts to make matters worse. SiteGround does not. We’re going to focus on SiteGround’s shared hosting and cloud hosting plans in this review. Just know they also offer dedicated and enterprise hosting plans for large to enterprise-sized businesses as well as reseller hosting for developers. Please note this host offers a 30-day, money-back guarantee on all shared hosting plans. Let’s move onto cloud hosting. Things get much more serious when you move into cloud hosting with SiteGround. Your monthly expense for hosting will jump to $80, for starters. SiteGround’s cloud hosting plans aren’t based on monthly visitors. Instead, they’re based on the hardware specifications you choose for your server, which means you’ll probably need to work with customer service to determine which plan would suit your site best. You can also build your own. Regardless, each of these plans is hosted on a cloud hosting server, which means they have the ability to scale and draw on more resources as needed. This makes cloud hosting a must for ecommerce sites and brands running major promotional campaigns. Backups are kept for seven days in an off-site location in these plans, and 24/7 VIP support is offered. Support is available 24/7 in the form of tickets, live chat and phone calls. The company has implemented an in-house tracking system that monitors employees for speed and quality in terms of the way they handle support requests. They also overstaff every support shift to ensure customers are covered no matter how busy they get. SiteGround also offers support in the form of an extended knowledge base, webinars and a setup wizard. You can even look through the company’s blog for tips. That’s it for our review of SiteGround. Let’s wrap this post up by discussing who this host is for. SiteGround offers a bit of everything for everyone. The shared hosting plans are great for bloggers, freelancers and small websites. They’re also great for first-time site owners as they come with a lot of features that make setting up a hosting server as easy as can be. The cloud hosting plans are great for high-traffic blogs and ecommerce sites. You can use the GoGeek shared hosting plan if you have an online shop, but know that you may run into trouble, especially over the holidays when online shopping is rampant. The dedicated and enterprise hosting plans are definitely for large businesses and enterprises, as stated before. They’re far too expensive and too high-tech for the average blogger or store owner. Lastly, reseller hosting is a great option for developers looking to host client websites. Speaking of which, this host is also a smart choice for developers. You have a lot of control over your server, and you’ll enjoy things like staging and creating Git repos with one click. You can also perform WordPress tasks from the command line using WP-CLI. That’s all for this review. 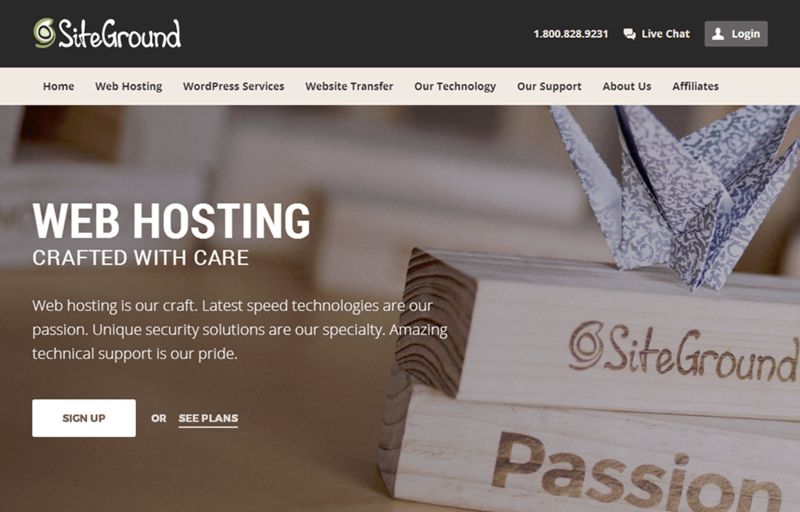 Feel free to head on over to SiteGround and take advantage of their 60% discount on hosting.